Do Gratitude Activities Increase Mental Wellbeing in Healthy Adults? Lafayette Physical Therapy Blog Do Gratitude Activities Increase Mental Wellbeing in Healthy Adults? My family has a tradition that every year at Thanksgiving we go around the table and share what we are thankful for. My dad was grateful for his current passion for the guitar, my brother for the new Fallout 4 video game and my mom for her upcoming retirement. High on my list was sleep, having just finished my Doctorate in Physical Therapy (DPT). 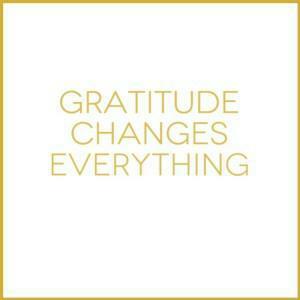 As part of this doctorate I completed a systematic review and meta-analysis exploring the practice of gratitude. My ultimate goal was to answer the following question: Do gratitude activities increase mental wellbeing in healthy adults? 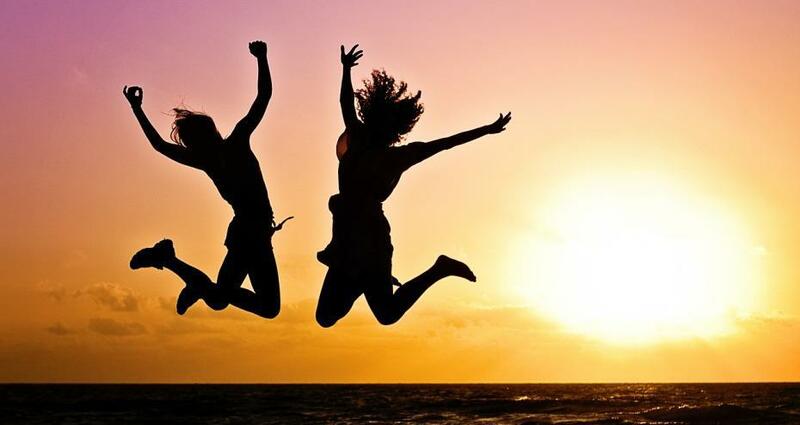 We know that activities that increase mental wellbeing have a positive effect on physical health including improved immune function, higher pain tolerance, improved cardiovascular and respiratory function, slower disease progression, and increased longevity.1 Thus, it was possible that gratitude activities could be used as a way to increase mental wellbeing and indirectly influence physical health. The meta-analysis included a total of 15 experiments: 13 randomized control trials, 1 one group pre-post test and 1-repeated measures design with the total sample size being 1,491 individuals. 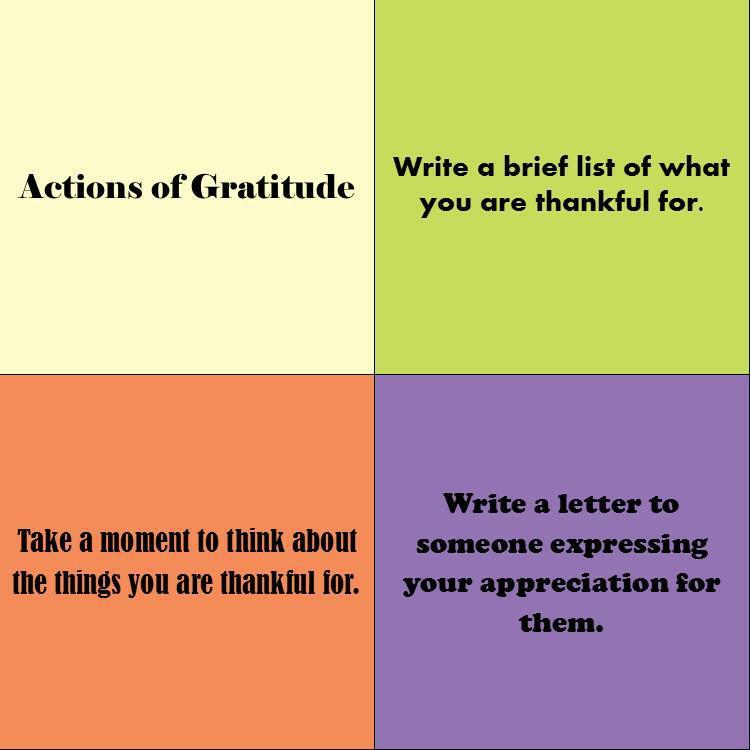 Each of which utilized one of the following types of gratitude activity: 1) writing a brief list of what you were thankful for 2) taking a moment to think about things you are thankful for, or 3) writing a letter to someone expressing your appreciation for them. The intervention lasted anywhere from a single activity to completing the activity over 2 weeks and the effects of the gratitude activities on mental wellbeing were explored. Mental wellbeing was broken into the following outcome measures: satisfaction with life; that is a cognitive assessment of how satisfied one is with their life, and affect; that is one’s mood or emotions. My research showed that gratitude activities are effective at increasing mental wellbeing (between group standardized effect size (ES) 0.27 CI 0.09-0.45 within group ES 0.28 CI 0.05-0.51) and its components of satisfaction with life (between group ES 0.36 CI 0.14-0.57, within group ES 0.28 CI 0.11-0.45) and affect (between group ES 0.51 CI 0.06-0.96 within group ES 0.09-0.62). Interestingly, the results were not dose dependent: an increase in the amount of times the activity was completed did not guarantee an increase in any of the outcome measures. In addition to these findings on mental wellbeing, several of the experiments included in my research found additional results: gratitude activities were effective at increasing mental wellbeing in children, those who are depressed, have anxiety or body dissatisfaction, and individuals with chronic illness. These activities were also shown to decrease worry, increase body satisfaction and improve the quality of sleep. Having spent many late nights working on this research, the irony of gratitude activities improving sleep did not escape me! There are several limitations of this meta-analysis worth noting. The studies included in my work utilized different gratitude activities and different intervention durations. This made a direct comparison difficult. Since searches were conducted by a single person, in English only, on a limited number of databases, it is possible that additional articles may have been overlooked nor included. One other noteworthy limitation includes participant sampling. Selection of subjects could have also biased the results. Subjects often either self-selected into the study or were college students that were required to participate. The first could potentially increase the effect size due to the placebo effect, while the later could decrease the effect size since it shown that motivation plays a role in the effectiveness of gratitude activities. Despite these limitations, the implications of these findings are still valuable. Although rapidly improving, a misconception in the field of Physical Therapy that suggests that pain has a solely pathoanatomical cause remains to some degree. By being aware that pain is a multidimensional experience that may include poorly addressed gratitude activities provides an additional option for Physical Therapists to include interventions that encourage an appreciation of the things one may be thankful for. Ryan T. Howell, Margaret L. Kern and Sonja Lyubomirsky (2007) Health benefits: Meta-analytically determining the impact of well-being on objective health outcomes. Health Psychol Rev. 1:83–136.